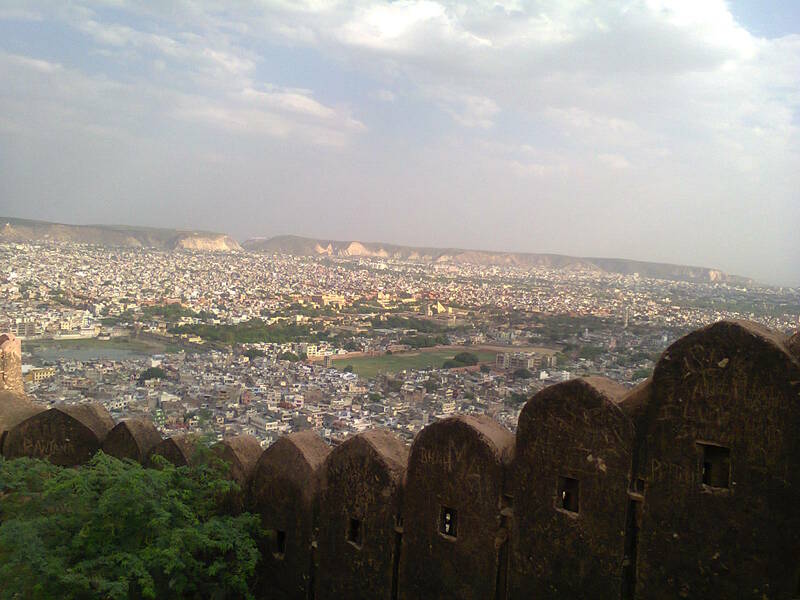 View from Nahargadh fort. Breath-taking. Part 2 of my Jaipur travel. Read the first part here. 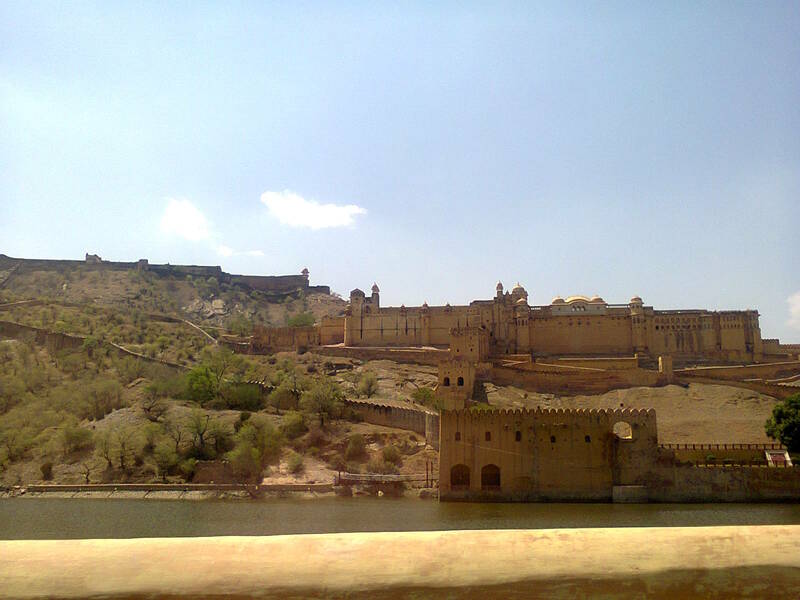 Amer fort is something you should never miss if you go to the pink city. To the north-east, on the outskirts, lies this beauty of a fort. Among the most well maintained forts in India (also a UNESCO World Heritage Site), it was built by Raja Man Singh I on the Aravalli mountain range. You can either go by car half way or by elephants. It is extremely scenic though very dry (after all this is Rajasthan). On our friend’s advice, we hired a car from Metro cabs. I always had a fascination for forts. This one seemed like a dream come true! The fort has various levels or courtyards. Diwaan-e-Aam (where the king met the normal people), Diwaan-e-Khaas (where the king met the “special” people), Sheesh Mahal (his quarters) and finally the ladies’ quarters. Beautiful gardens inside the fort. And a garden in the middle of the lake below. It even has a secret tunnel, running underground half-way to the Jaigadh fort, 8 kms to the north. 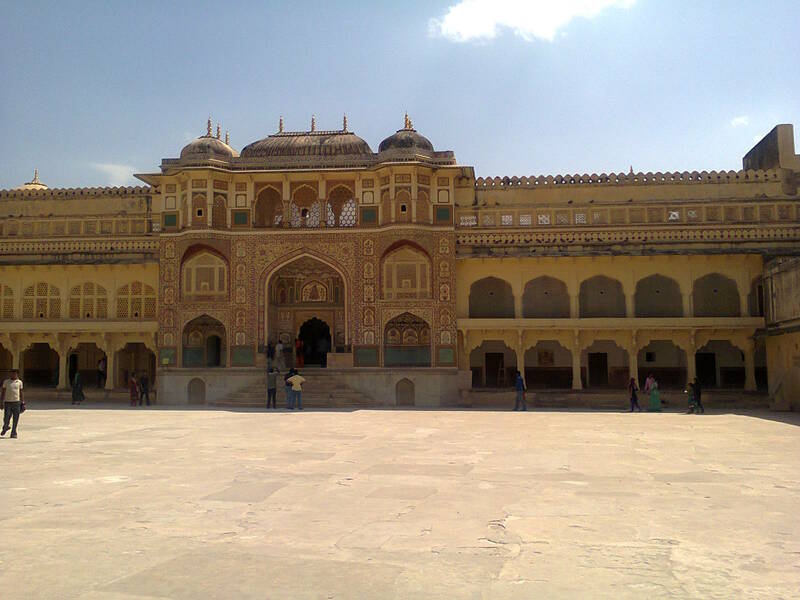 Nahargadh fort is situated a little above Amer on the mountain range. The drive and the view from the top is amazing. Our hired car driver got a little emotional and said that during the night, the view of Jaipur with its twinkling lights is just like a star-filled night sky. While returning back, we saw the Jal Mahal, which nowadays can’t be accessed, only glimpsed from the lake shore. Also visited the oldest sweet shop in this region – Laksmi Misthaan Bhandaar (LMB), and bought the famed sweet ghevar (a demand from my sister). 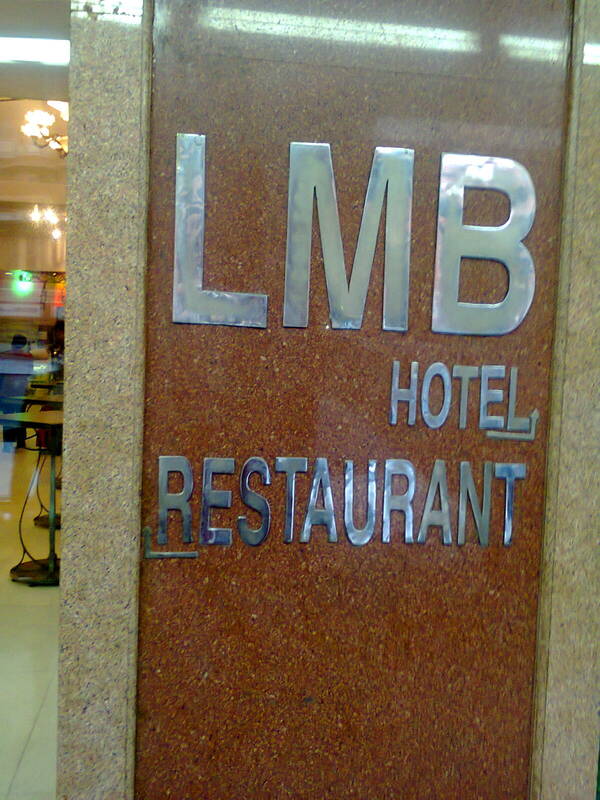 My minimalist tendencies were severely challenged when we roamed in the Johari bazaar and the streets around. So many ethnic items at unbelievably cheap prices (provided that you either know how to bargain or have a local friend). I ended up buying 2 kurtas and 1 mojdi. The state of Rajasthan consistently ranks among the lowest in social-economic indices. After having heard so much, I didn’t expect the capital to be anything more than a smallish, dusty and barren city. But Jaipur did surprise me – by its clean, well-maintained roads, buildings and parks, its openness towards visitors and general enthusiasm in people for the future. (It is in the list of cities slated to drive IT industry growth in the next decade.) Just like across India, perhaps things are now changing. As my Jaipuri friend remarked (when I told him I hardly expected anything of this sort), this city does pleasantly surprise you in its own ways. I am yet to see a more beautiful fort. Amer fort, Rajasthan. 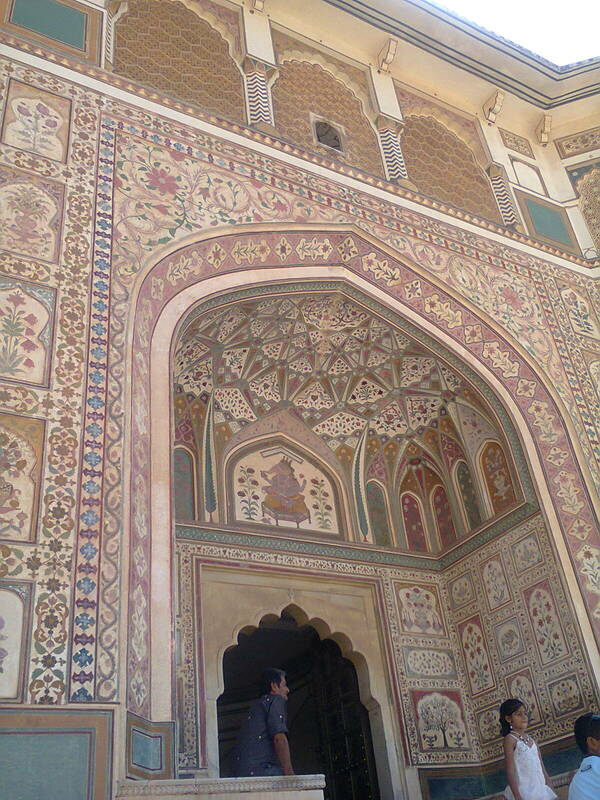 One of the outer entrances to Amer fort. 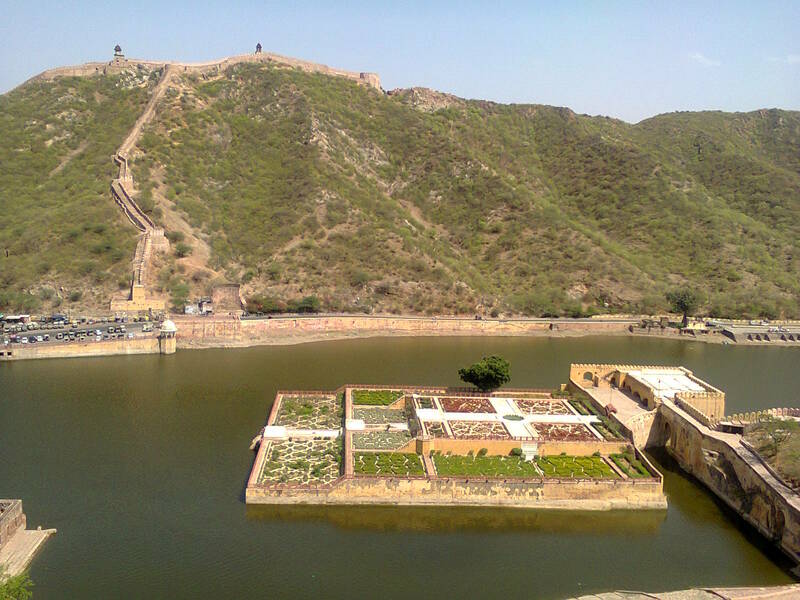 The garden in the middle of a lake, Amer fort. Where the shooting of Rang De Basanti happened. Next Post Has honesty become irrelevant? Good read! 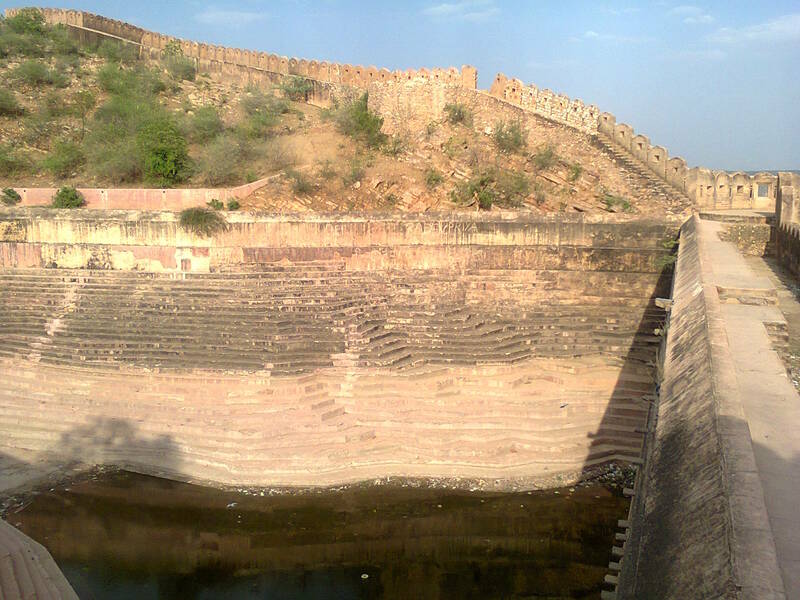 on Rajasthan. My home town aswell. 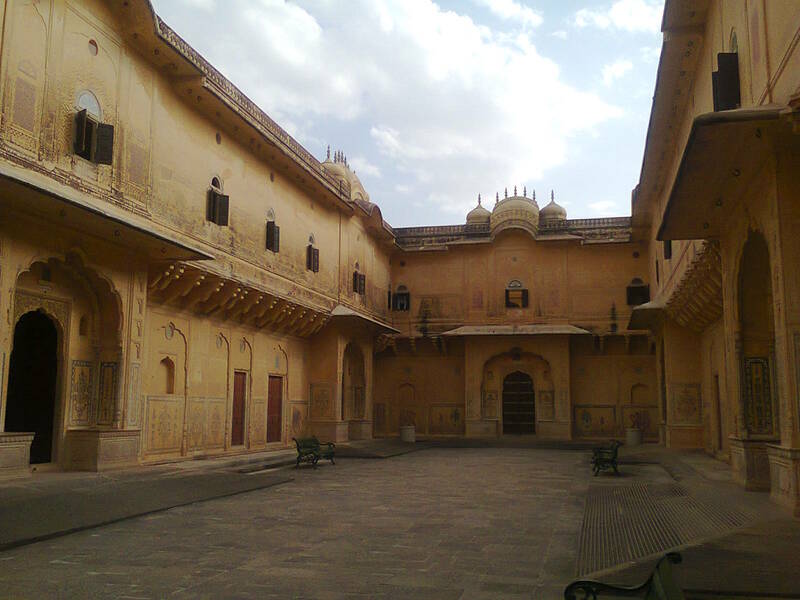 Jaipur is a city, where you can experience quite lot about Rajasthan. But i should not refrain myself from saying, Rajasthan in actuality, ponders in its villages. The customs, the food and the sheer ease of the culture creates a lively spark. Hope you’l get to see all these some day. Thanks! If you love forts , two of the most impressive forts I have been to are, Agra Fort and Golkonda which are earlier than the Amer. Have not seen Chittorgarh, though the echoes of a saying still remain `Gadh mein to Chittorgarh, baki sab ghdaiyan` as per a rajasthani bard. The Jodhpur and Jaisalmer forts should be interesting too Remnants of an age when drones,planes , air raids and other cowardly ways of killing innocents-women,children and old people- were not butchered, only those in uniform were combatents. Priti. Thanks, Jahid. Yes, definitely worth a visit. Up to your usual very high standards! 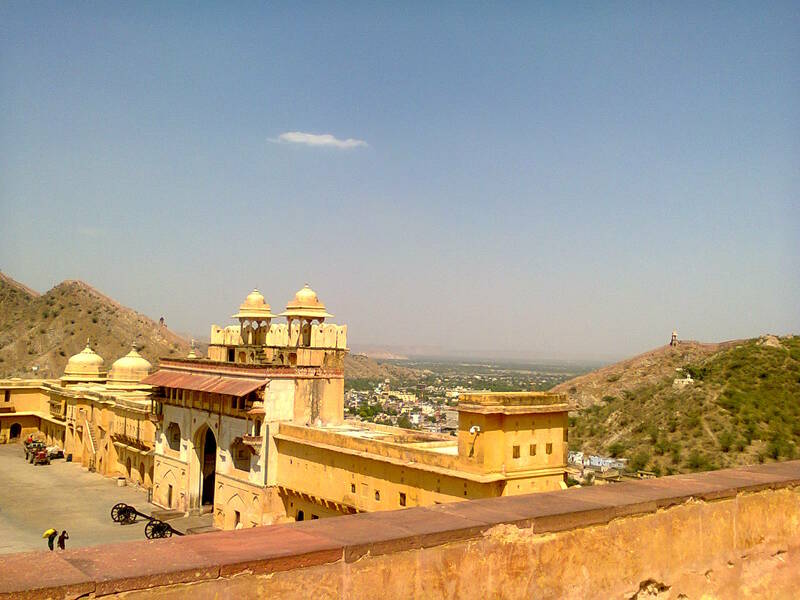 Mehrangarh fort in Jodhpur and Kumbhalgarh are wondrous in their own way. Thanks! Yes, I guess will plan a trip there too some day later.